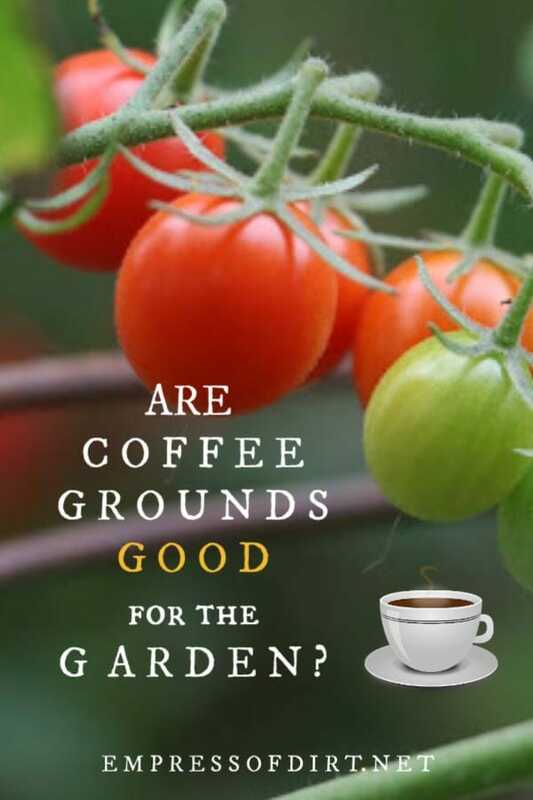 Are coffee grounds a good fertilizer for the garden? Do they have other plant-boosting properties? Do they repel insects or change the pH of the soil? Let’s look at the facts and find out how to use them. This is part of a series on garden myths where we look at popular garden advice and fact-check it to see how reliable it really is. NEW! 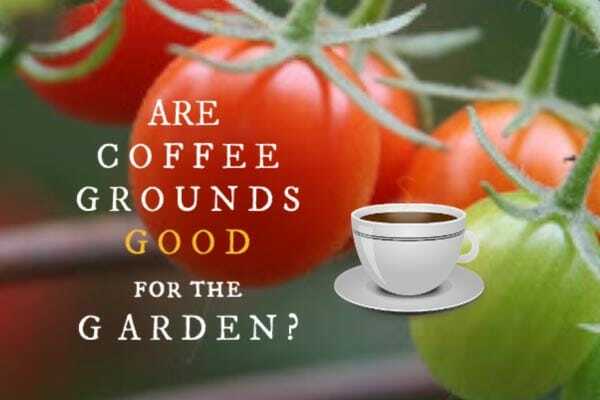 Click play to hear Are Coffee Grounds Good for the Garden? If you have an Amazon Alexa device, you can enable our Flash Briefing to hear new stories every week. We have provided instructions here: Two Minutes in the Garden. When coffee—the beverage— is made, hot water is poured over ground coffee beans, releasing their flavour into the water. The spent coffee grounds are the leftover by-product. With so many coffee drinkers, imagine how many coffee grounds are generated around the world each day. A report from the UK says that the average coffee shop produced 20 kg —over 40 pounds—of spent coffee grounds every day. That’s just one shop! In North America, it’s estimated that nearly two million tons of coffee grounds are disposed of every year. And much of that goes to landfill, where it contributes to greenhouse gases and other problems. So, it’s good that people have looked into other uses for coffee grounds—we certainly want to divert them from landfill—and they do have beneficial uses in the garden, but probably not as the super fertilizer or incredible soil amendment the hype claims is true. As we most quick-fix, super solutions, if you keep your expectations in check, there can be some benefits or grains of truth in there somewhere. Sometimes. Despite what you may have heard, there’s no evidence that coffee grounds will repel pests or attract beneficial insects or earthworms. There’s also little to suggest that they help prevent diseases in the garden—it’s still being studied, but so far it hasn’t been shown. Stories of coffee grounds reducing the alkalinity of soil haven’t been supported either. Coffee grounds can be mildly acidic—which theoretically could affect soil pH (where directly applied)—but, it is shown to be unstable so that isn’t always the case. Something we have found is that coffee grounds have been shown to be potentially harmful to seedlings and also to slow the growth of some plants. Coffee grounds are a source of plant nutrients. Not to any dramatic levels, but they do provide nutrients such as phosphorus and magnesium and some others. They’re also a good source of nitrogen for composting. Again, nothing breathtaking, but they’re about a 20:1 carbon-to-nitrogen ratio — maybe slightly better than kitchen scraps and grass clippings, but in the same ballpark. So, despite their appearance, they count as greens for composting. You can read more about greens and browns here: Composting 101: Slow and Fast Methods. There are warnings about using too many coffee grounds in your compost pile—they should be no more than 20% by volume—according this this paper [Using Coffee Grounds in Landscapes and Gardens – file is in PDF format], which also says that only composted coffee grounds should be used as a soil amendment. Coffee grounds can also be used as a mulch, and will provide all the standard benefits of mulches, although here too it is recommended that they be used in moderation, and mixed with other mulches, such as wood chips, because coffee grounds on their own can become compacted, which will not help the soil underneath. So, don’t expect coffee grounds to be magic beans for your garden, but they can provide some benefits if used properly. Should I Use Epsom Salts in the Garden?